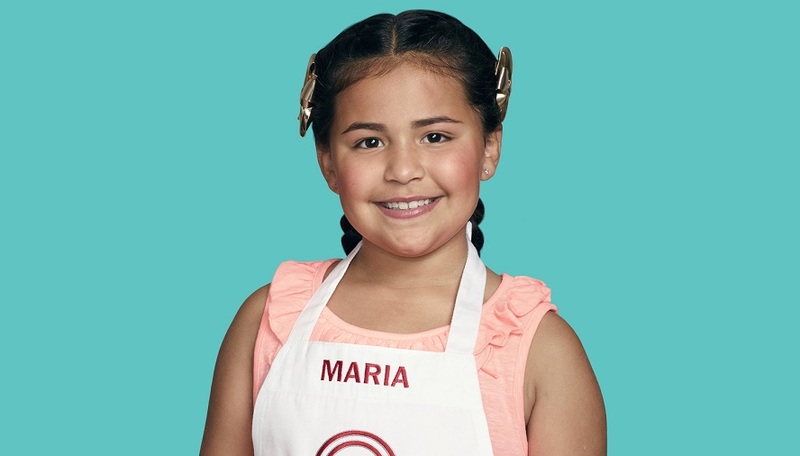 Leading up to Friday night’s new episode of MasterChef Junior, why not hear from one of the eliminated contestants in Maria Dakis? We saw her make it pretty far over the course of the competition and shine while making a wide array of different dishes. She was fun, engaged, and never seemed to take her time in the competition for granted. She was eliminated this past week after making it all the way to the top 16, but in retrospect she does have quite a bit to feel good about. Take a look below for more of Maria’s thoughts about competing in the kitchen, why she wanted to be a part of it in the first place, and how excited she was to be one of the youngest participants. CarterMatt – What made you want to be a part of MasterChef Junior? Maria Dakis- I wanted to meet my idol Gordon Ramsay and also Christina Tosi and I didn’t know that Joe Bastianich would be back my season to judge so that was pretty exciting to get to meet him. I also thought that it would be an amazing opportunity to someday do business with him since he is an amazing Restaurateur! Was it exciting to be one of the youngest contestants this season? Yes! It was also very challenging because the equipment was really heavy and getting around was hard since most of the other contestants were twice as tall as me. So I was always struggling to pick the donut or the straw and was always last! What did you learn the most about food while you were there? There were a few tricks that I was able to pick up such as “No Color, No Flavor” and also I fell in love with plating! I always loved the way food tastes, but I was able to learn some techniques to adding finesse to my dishes!! Was there a favorite challenge that you got to be a part of? The No Sugar Challenge was amazing and the Wedding was great too! The whole experience was amazing, but those two challenges stood out for me! What did you enjoy the most about being around the judges? Joe was so funny! His facial expressions made me laugh. I also enjoyed seeing the judges dress in their casual and stylish clothes and also Gordon Ramsay’s accent was great! He is still my idol! Following your time on the show, what’s your food dream moving forward? I am really excited about the different things that have been happening since I have been on the show! I have continued to cook and I love meeting fans! They are so sweet and encouraging! For one, the few festivals I have been able to be a part of have shown me what an incredible reach there is. I love doing cooking demos and showing off my cooking skills. I also hope to someday open up my own food truck!! I have been doing some pop ups here and there so hopefully if people follow me, they can find out where I am and when! Want more news on MasterChef Junior?